WASHINGTON, DC—The American Geophysical Union (AGU) has announced its 2013 class of Fellows. This honor is given to individual AGU members who have made exceptional scientific contributions and attained acknowledged eminence in the fields of Earth and space science. 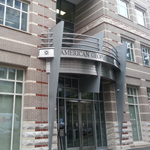 AGU’s Fellows program was established in 1962. This designation is conferred upon not more than 0.1% of all AGU members in any given year. The following 62 individuals have been elected as 2013 Fellows. They will be recognized during the Honors Tribute at the 2013 AGU Fall Meeting, which will take place on Wednesday, 11 December 2013 in San Francisco. David C. Goodrich, Agriculture Research Service, U.S. Department of Agriculture, Tucson, Ariz.
C. Page Chamberlain, Department of Environmental and Earth System Science, Stanford University, Stanford, Calif.
Charles K. Paull, Monterey Bay Aquarium Research Institute, Moss Landing, Calif.
Gordon B. Bonan, National Center for Atmospheric Research, Boulder, Colo.
Graham Feingold, Earth System Research Laboratory, National Oceanic and Atmospheric Administration, Boulder, Colo.
Warren M. Washington, National Center for Atmospheric Research, Boulder, Colo.
Joseph D. Huba, Naval Research Laboratory, Washington, D. C.
Susan E. Humphris, Department of Geology and Geophysics, Woods Hole Oceanographic Institution, Woods Hole, Mass. Peter Wilcock, Department of Geography and Environmental Engineering, Johns Hopkins University, Baltimore, Md. Warren J. Wiscombe, NASA Goddard Space Flight Center, Greenbelt, Md. Donald K. Perovich, Cold Regions Research and Engineering Laboratory, U.S. Army, Hanover, N. H.
Thomas S. Duffy, Department of Geosciences, Princeton University, Princeton, N. J.
Barbara J. Turpin, Department of Environmental Sciences, Rutgers University, New Brunswick, N. J.
Paul R. Krehbiel, Department of Physics and Department of Electrical Engineering, New Mexico Institute of Mining and Technology, Socorro, N. M.
Cynthia J. Ebinger, Department of Earth and Environmental Sciences, University of Rochester, Rochester, N. Y.
Natalie M. Mahowald, Department of Earth and Atmospheric Sciences, Cornell University, Ithaca, N. Y.
David H. Rind, NASA Goddard Institute for Space Studies, New York, N. Y.
Donald I. Siegel, Department of Earth Sciences, Syracuse University, Syracuse, N. Y.
Peter K. Zeitler, Department of Earth and Environmental Sciences, Lehigh University, Bethlehem, Pa.
Eileen E. Hofmann, Center for Coastal Physical Oceanography and Department of Ocean, Earth and Atmospheric Sciences, Old Dominion University, Norfolk, Va.
Kenneth Mopper, Department of Chemistry and Biochemistry, Old Dominion University, Norfolk, Va. James M. Russell III, Center for Atmospheric Sciences, Hampton University, Hampton, Va.
Gregory C. Johnson, Pacific Marine Environmental Laboratory, National Oceanic and Atmospheric Administration, Seattle, Wash.
Lai-Yung Leung, Atmospheric Sciences and Global Change Division, Pacific Northwest National Laboratory, Richland, Wash.
Christopher L. Sabine, Pacific Marine Environmental Laboratory, National Oceanic and Atmospheric Administration, Seattle, Wash.
Catherine L. Johnson, Department of Earth, Ocean and Atmospheric Sciences, University of British Columbia, Vancouver, British Columbia, Canada, and Planetary Science Institute, Tucson, Ariz.